It’s here in the glorious Cahors countryside that Cathy & Daniel Fournié tend their 30 hectare estate, nestling on the clayey and stony soil of the 3rd terrace of the Lot Valley. The Fourniés used to deliver their Malbec grapes to the local winegrowers cooperative, but convinced of the the quality of their terroir and keen to vinify their own grapes, they decided in 1998 to build a wine cellar. From the outset, they worked hand in hand with Pascal Verhaeghe (owner of one of the best known estates in Cahors: Château du Cèdre) who advised them on all aspects of winemaking, from the vineyard to the bottled wine. The quality of their wines came on in leaps and bounds. Year after year they acquired their own distinctive style, the tannins became more polished, the wines more precise, complex and elegant. 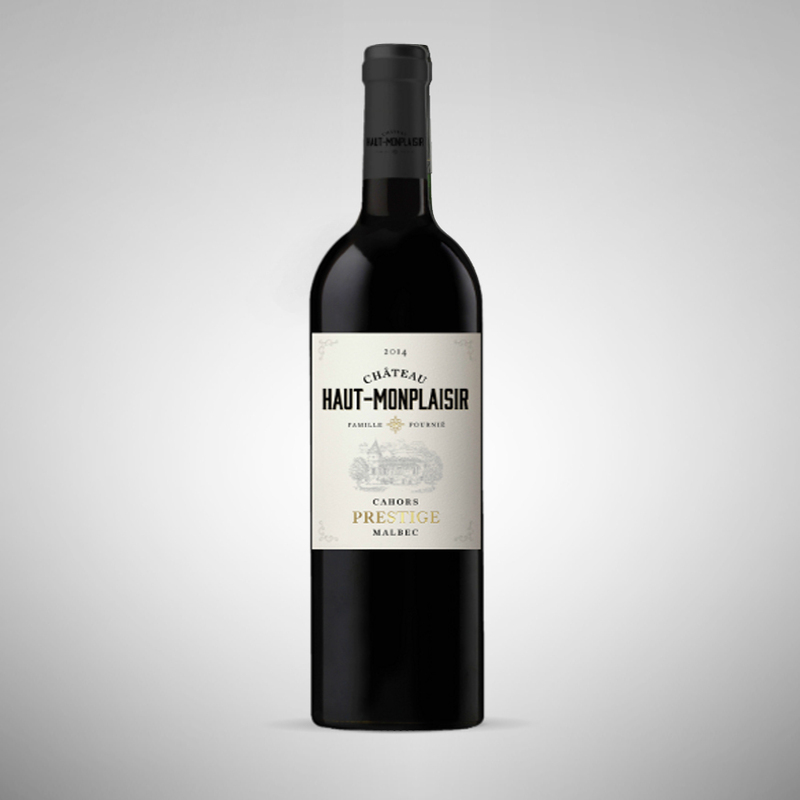 Today, Château Haut Monplaisir is one of the better known estates in the Cahors appellation, regularly praised in the French and international press. The 30 hectares of vineyards are planted around the family home and the ageing cellars. The soil is shallow and is composed of alluvium, pebbles and sand mixed with clay. 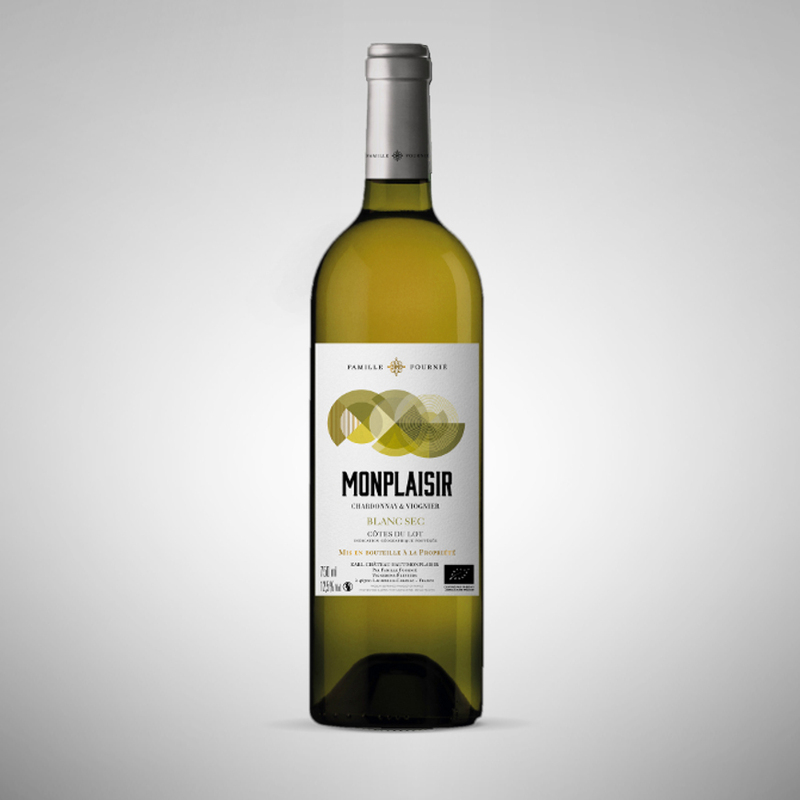 This magnificent terroir produces fleshy, concentrated, opulent wines. 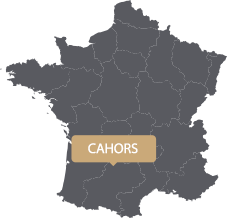 Equidistant from the Atlantic and the Mediterranean, there is a dual climate in Cahors : Oceanic until June, it becomes Mediterranean in July, making for a perfect balance between acidity and maturity. 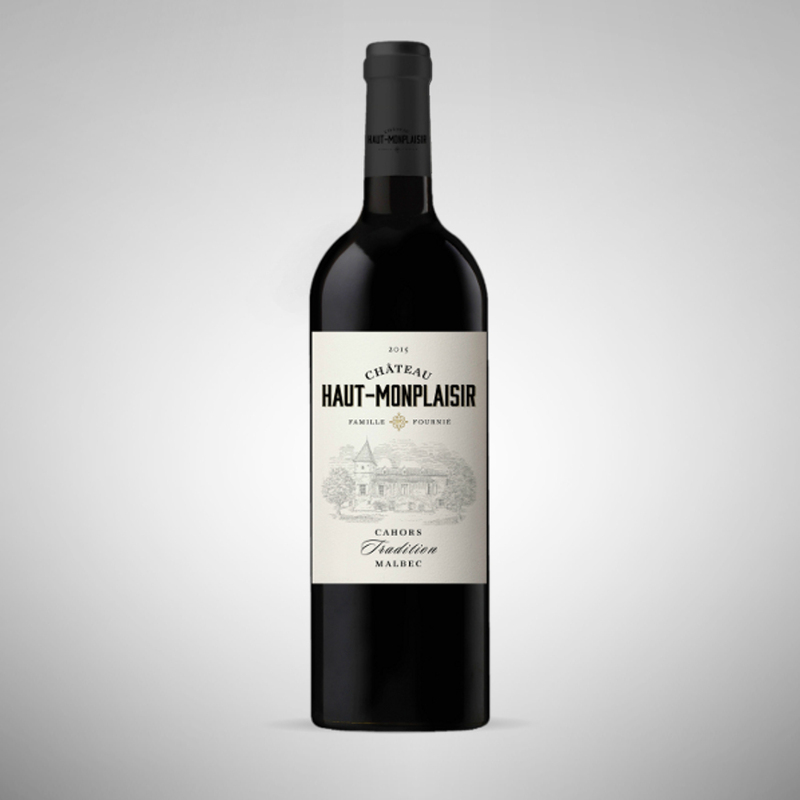 The Château Haut Monplaisir vineyards have been managed and tended organically for quite some time now and were certified organic in 2012. The Malbec grape, implanted in the region for over 2000 years now, has achieved worldwide renown. 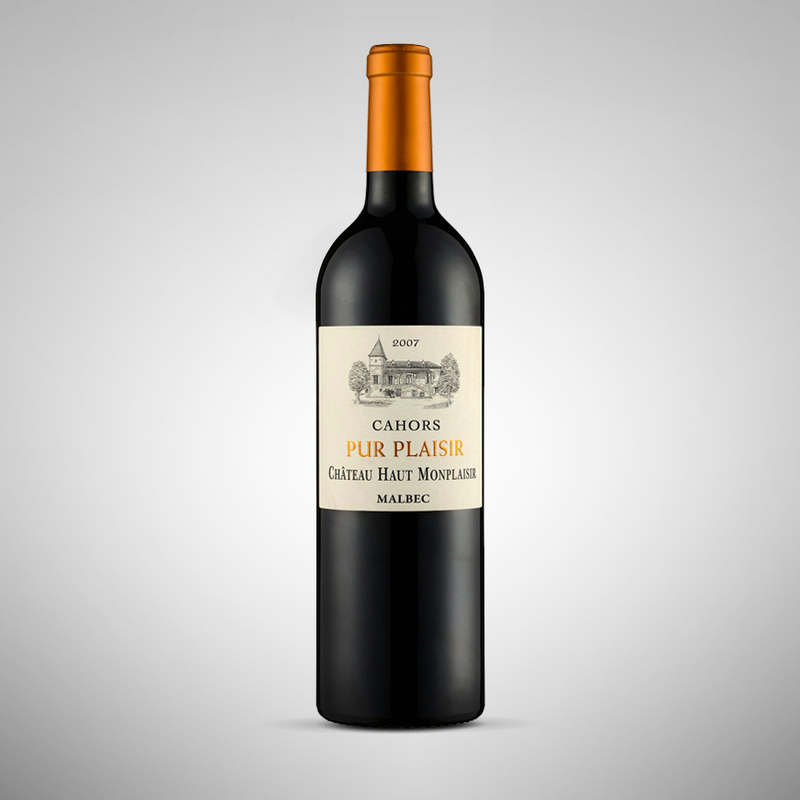 It expresses itself best in Cahors, with it’s rich and powerful ‘black wines’, with their velvety tannins and the freshness that their natural acidity confers on them.